The presentation of the novelty was on the web. In front of us is an ultra-luxurious all-terrain vehicle, which will be provided with rivals Bentley Bentayga. In Cullinan appeared new technology, all-wheel drive system, off-road driving mode, steep suspension. The length of the car with its wheelbase was shortened, if compared with the Phantom. Let's add that the models are made on a single database. 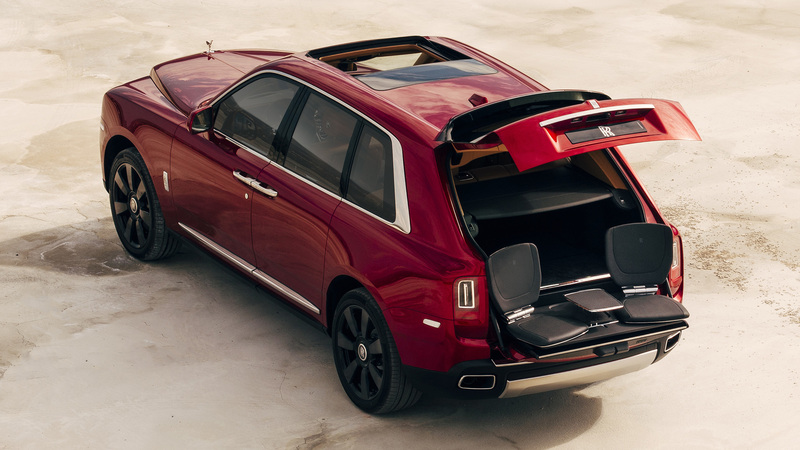 The SUV is powered by a 6.6-liter twin-turbo V12 with 563 horsepower. The trunk of the car is taken out of the cabin. New provided with 22-inch wheels. Regarding the interior, it corresponds to the accepted standards of Rolls-Royce. Rear passengers are offered 2 separate armchairs with a prefix "luxurious". Armchairs at the back are separated by a console, where there is a refrigerator with a minibar.